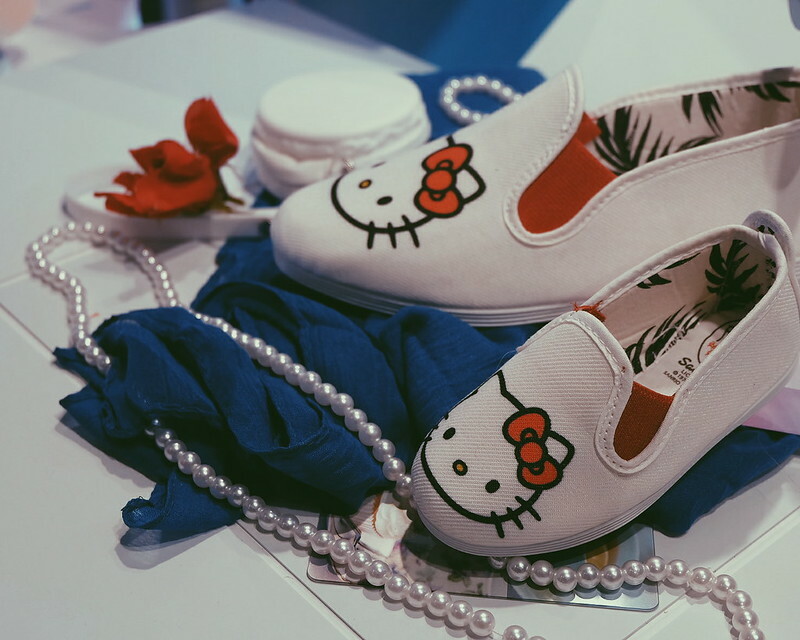 Now I understand why girls (even women) go crazy over Hello Kitty! She is so darn cute and adorable (in person - or should I say, in mascot?). 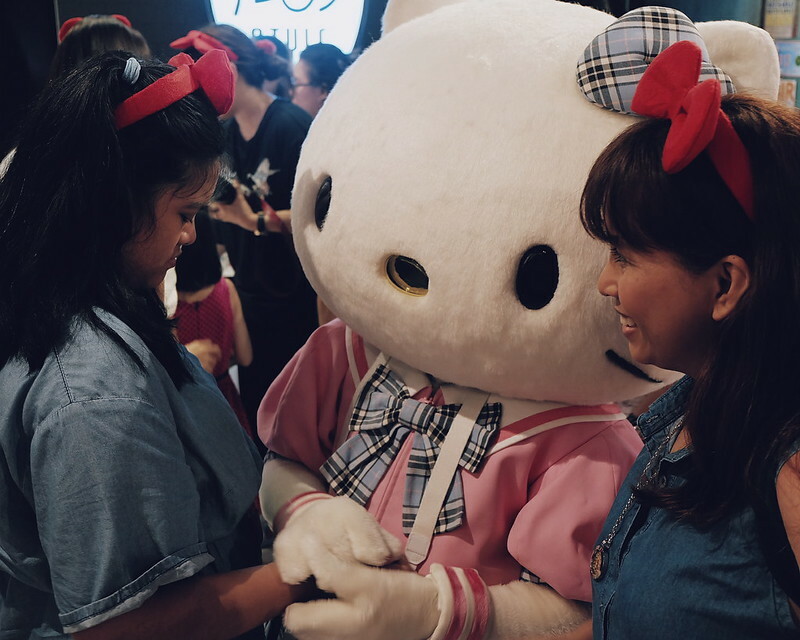 I got to "meet" Hello Kitty at the launch of Flossy x Hello Kitty Shoes Collection at SM North EDSA, The Block last March 11, 2017. 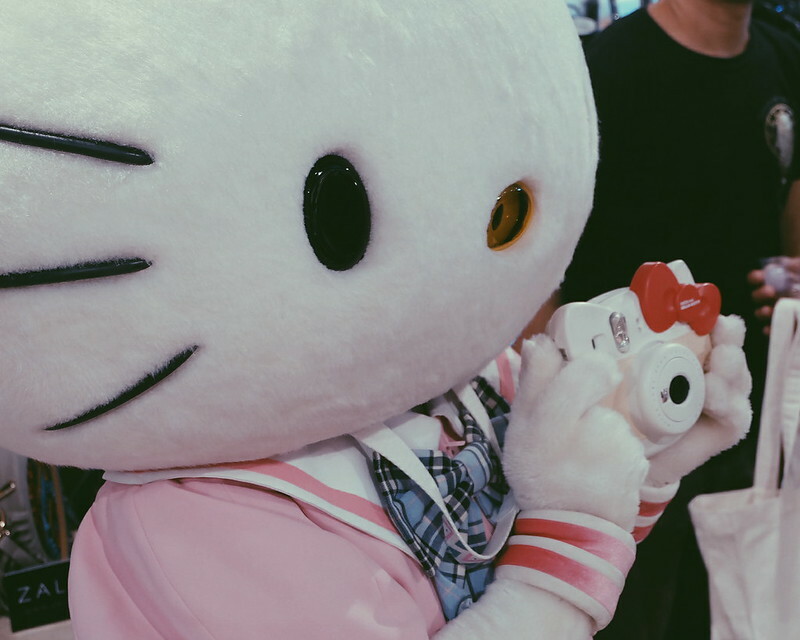 I grew up knowing Hello Kitty and her cute bow. Unlike the other kids though - I go for the less popular Sanrio character (Zashikibuta - that curious and laidback pig who loves to eat!). 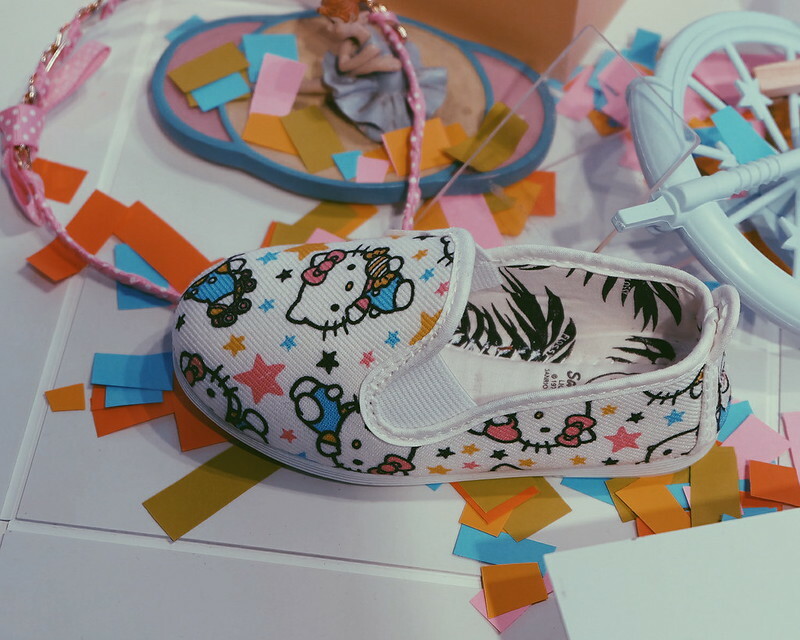 The Flossy x Hello Kitty Collection Launch is truly a haven for Hello Kitty fans. I somehow got carried away when I arrived at the venue and the first words I said "I want that cute red bow headband too!". 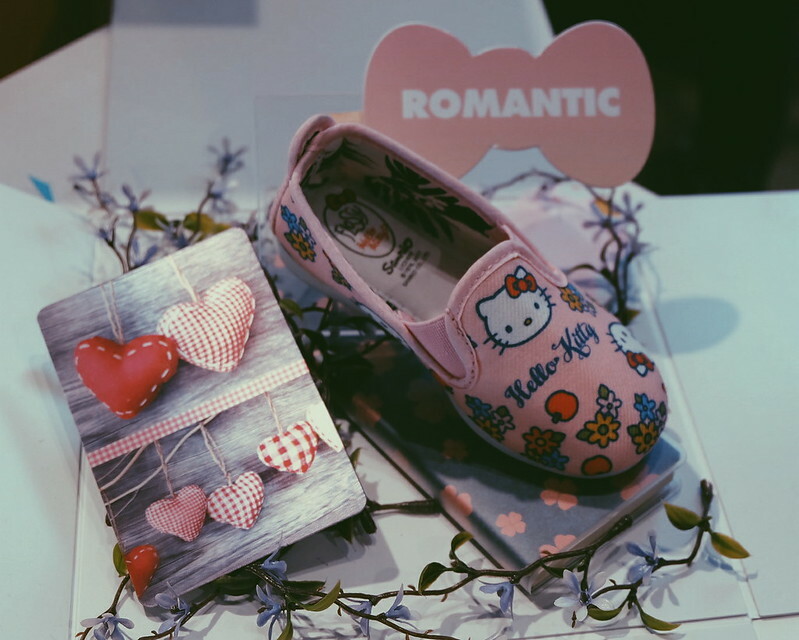 Everything is Hello Kitty including yummy cupcakes and donuts! 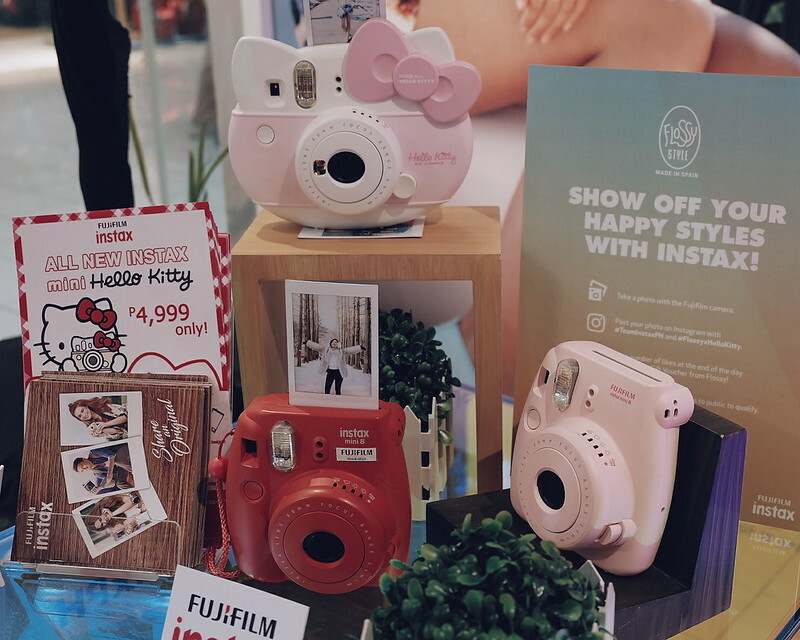 The instax camera and instax films are Hello Kitty themed too! 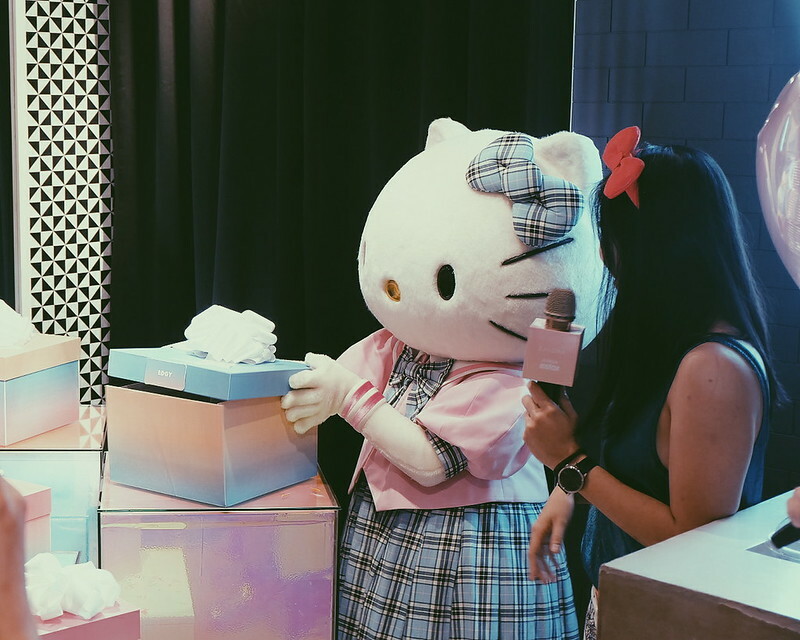 Kids and adults were so ecstatic about the launch especially when Hello Kitty arrived and unboxed the collection! 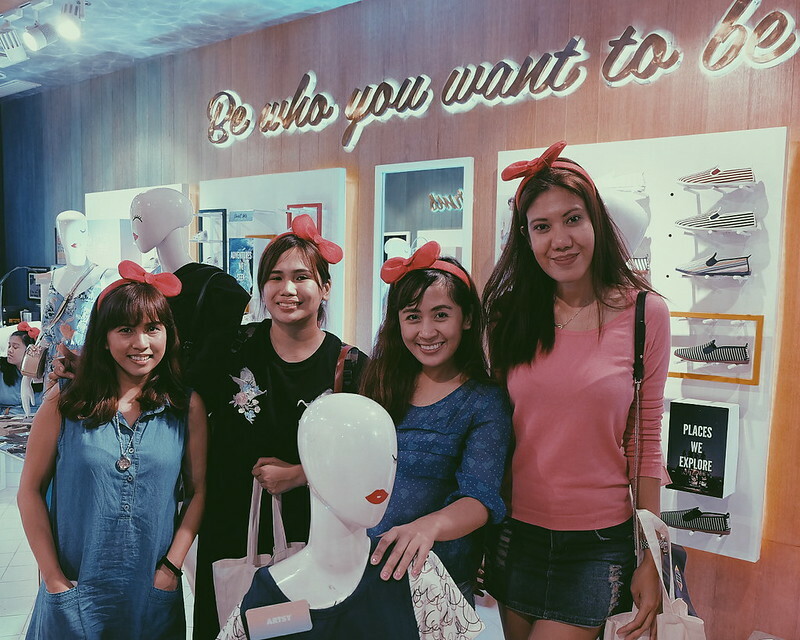 The fun part, the styling game where we were challenged to come up with an #OOTD featuring #FlossyxHelloKitty shoes and Zalora pieces. 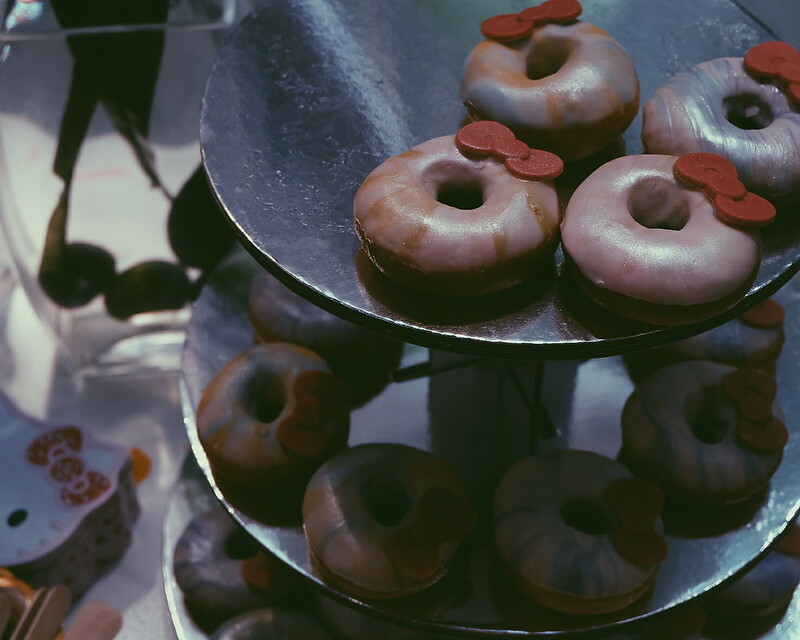 We were assigned the Romantic design. 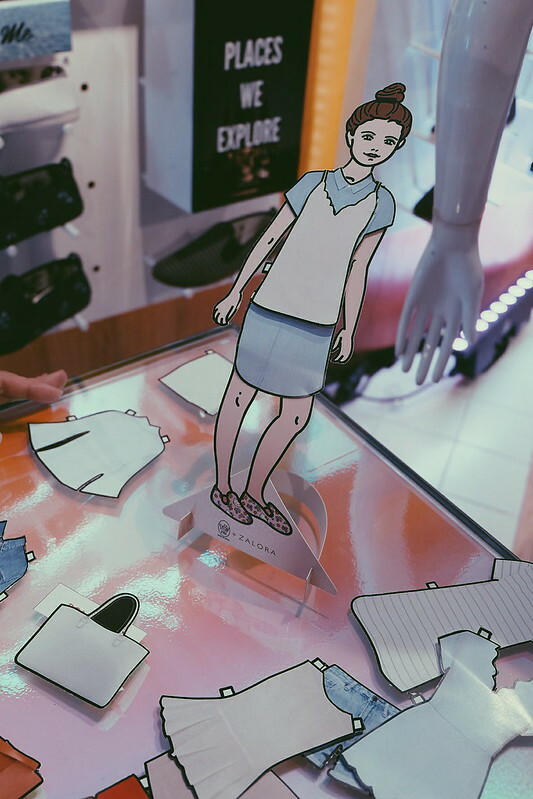 We came up with an ensemble that we can wear for dinner dates, casual malling or business meeting - comfortable and still stylish. 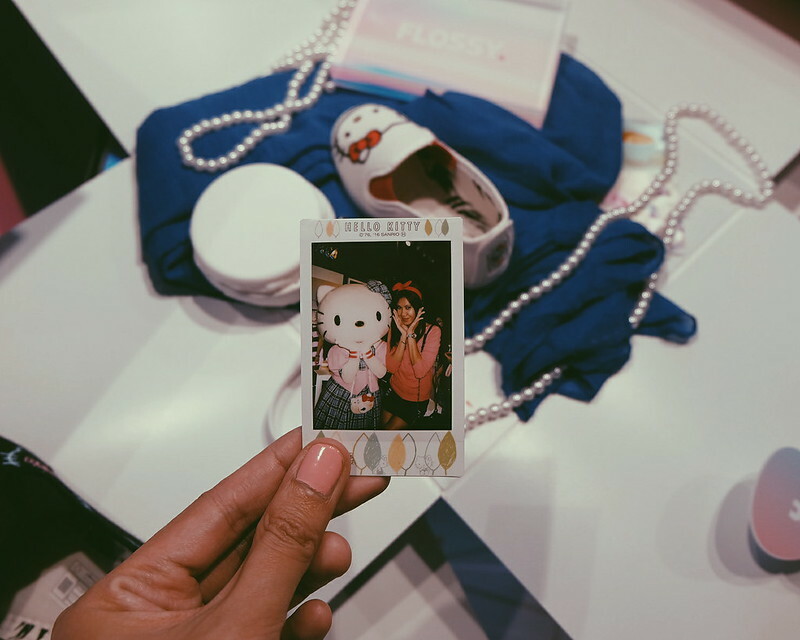 Flossy is one of my favorite shoe brands! 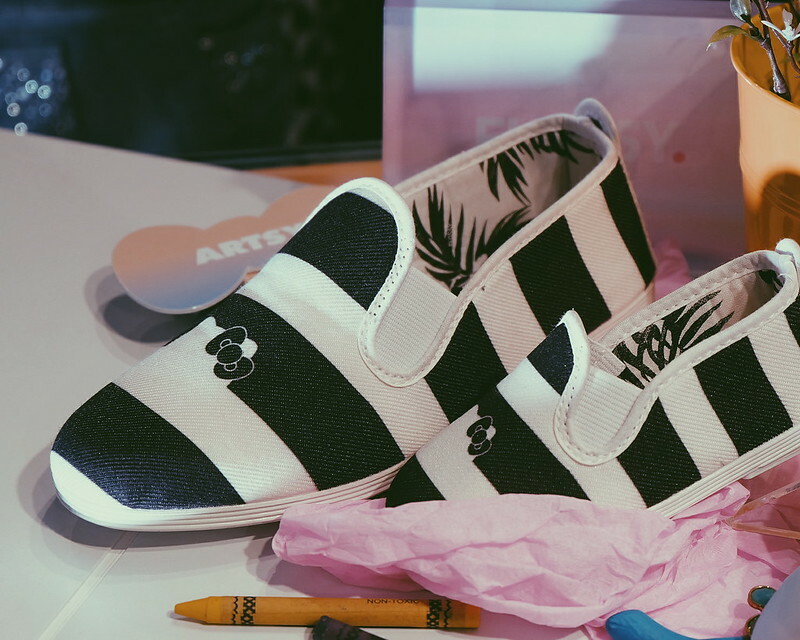 The pairs smell really yummy and is very light & comfortable for long walks (as if you are not wearing anything!). 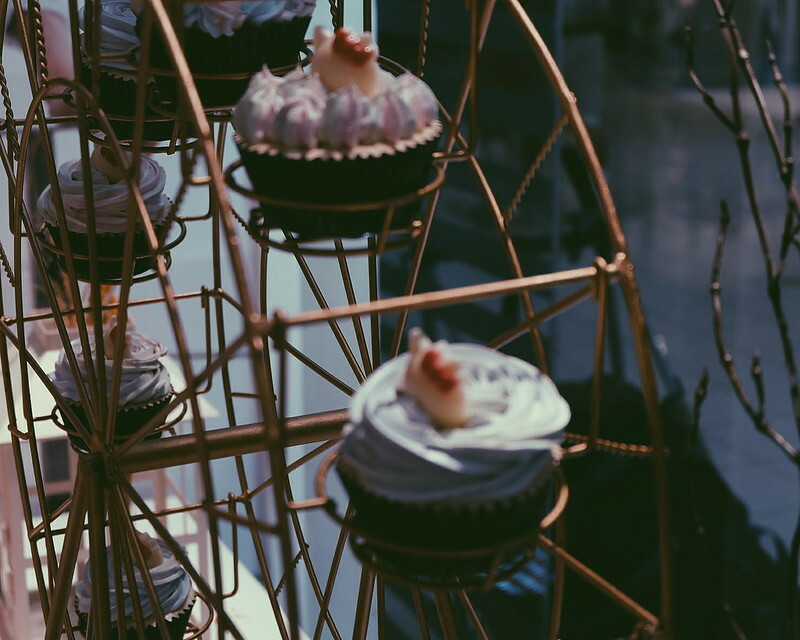 It is one of my go-to pairs! 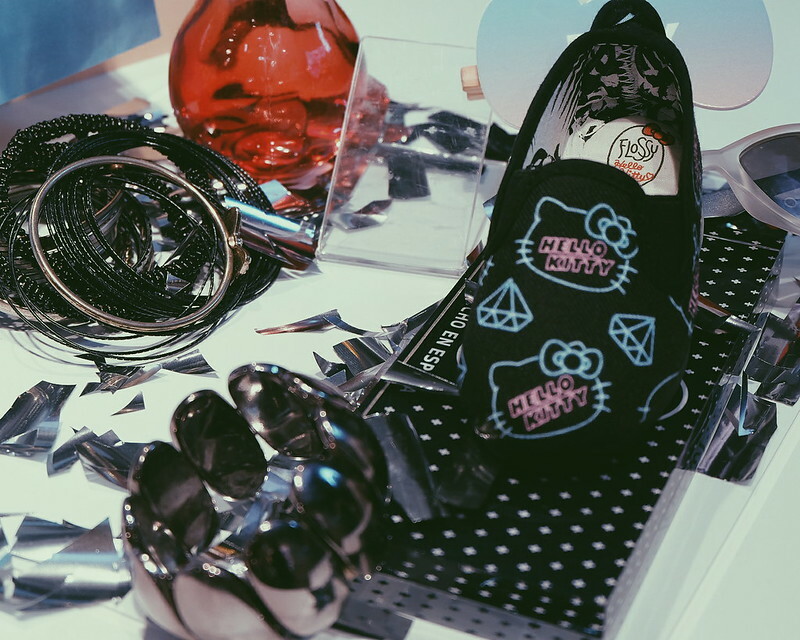 Which one is your favorite from the #FlossyxHelloKitty Collection? 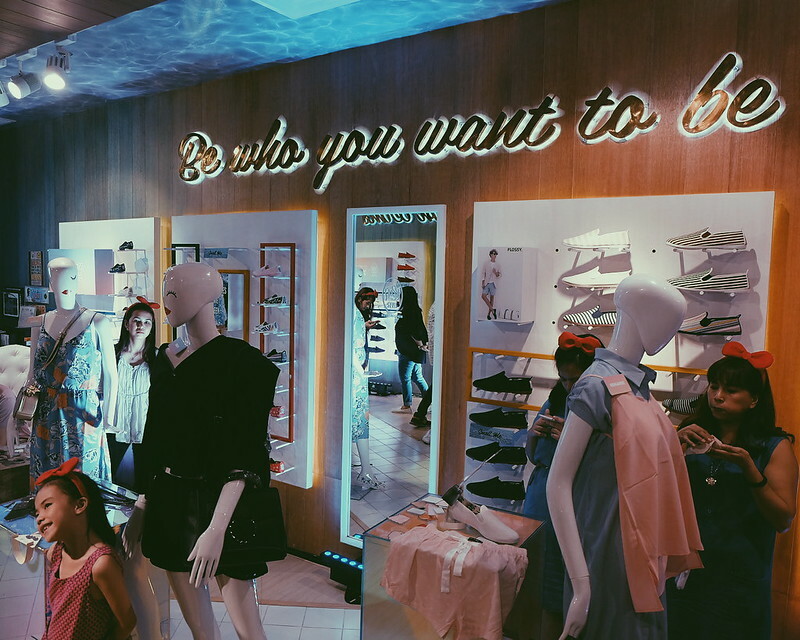 Check out the hashtag to see more photos from the event! 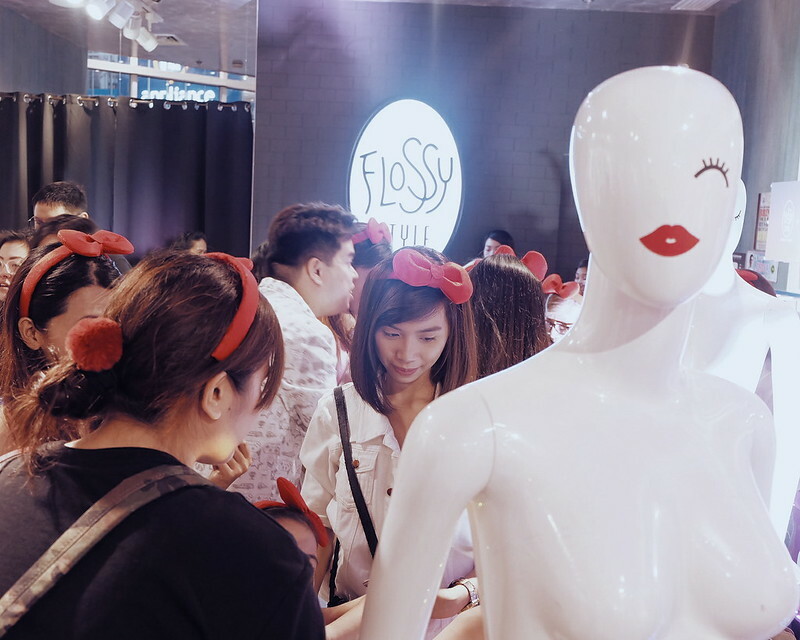 Flossy SM The Block (Level 3), Flossy Trinoma, Flossy Eastwood Mall, Flossy SM Megamall, Flossy Glorietta, Flossy Alabang Town Center, Flossy Abreeza, and select Bratpack and Res Toe Run Stores. 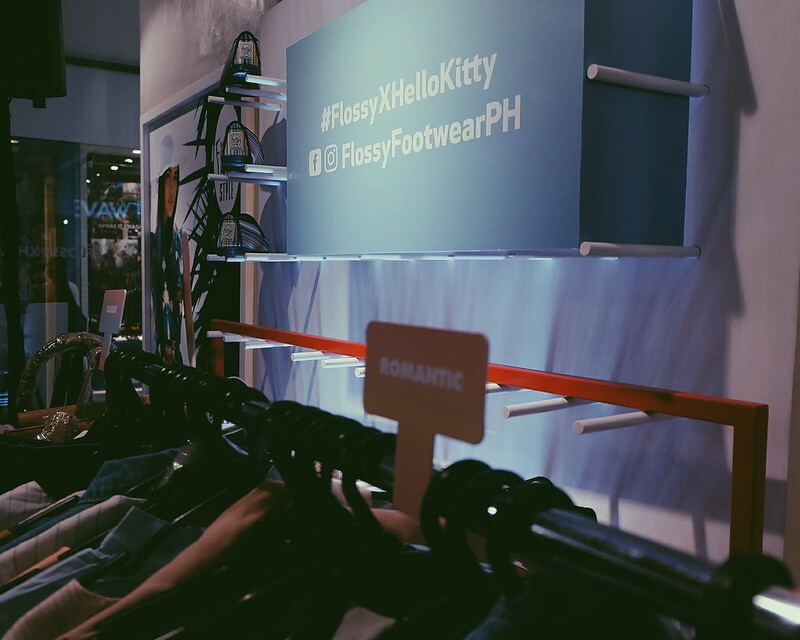 Follow on Facebook and Instagram @FlossyFootwearPH.